Situation: Ichigo is just back from an interview or stuff and it started snowing. He forgot to bring along his coat, so he is rushing home. 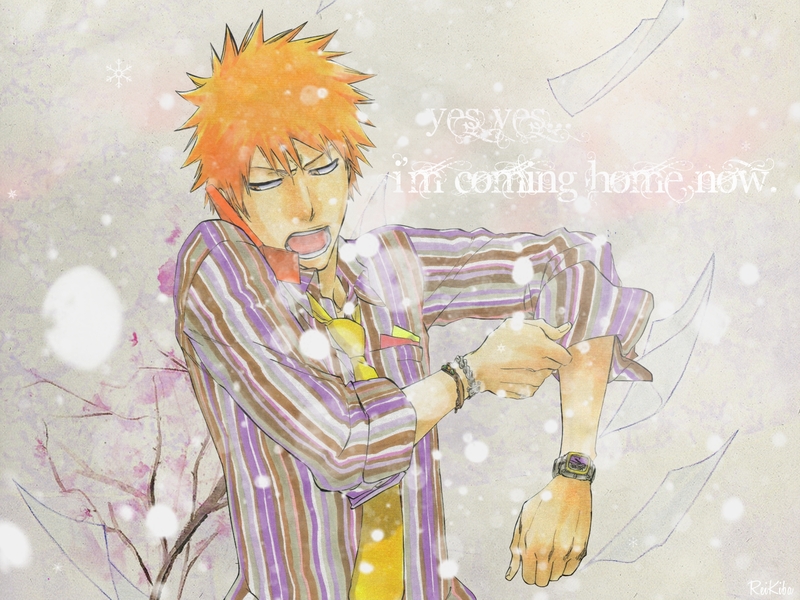 Yuzu/Karin/Isshin is calling him and asks where he is, Ichigo then replies he's on his way home. Texture x and two other textures. I love that Ichigo has interviews XD! Also great idea and beautiful wallpaper! Pity i can't use it though as i desire widescreen but it looks really good nonetheless! Cool!1 I love the soft feeling this wallpaper gives! Thanks for sharing!